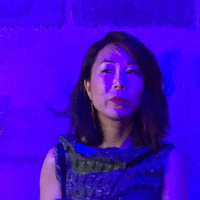 Lucy Kim is a Boston-based visual artist using mold-making and casting as a sculptural surrogate for photography. By combining her sculptural process with painting, her work explores the mechanisms involved in the transition from subject to image. Recent exhibitions were held at the ICA Boston; Institute of Fine Arts-NYU; Brooklyn Academy of Music; and Lisa Cooley, among others. She is the recipient of the ICA Foster Prize, Artadia Award, MacDowell Fellowship, and the Ellen Battell Stoeckel Fellowship.